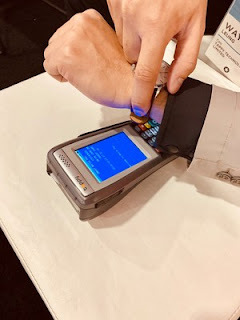 Between November 14 and 16, 2018, wearable payment technology pioneer Tappy Technologies exhibits its wearable payment solution in collaboration with Expresspay Card at Money20/20. Relying on Expresspay Card, Tappy provides customers with diversified wearable payment solutions, significantly promoting Tappy's product development and portfolio in China. Currently taking place in Hangzhou, China, Money20/20 takes a very close look at the Chinese market from an international perspective, opening a bridge for communication between leading Chinese and international fintech firms, all of whom are seeking to explore collaborative and business opportunities. Hong Kong-based Tappy, a pioneer in wearable payments and access devices, was invited to attend the conference. Tappy's innovative technology can be fully integrated into form factors such as watches, chain bracelets, jewelry and many other kinds of accessories, instantly transforming them into payment and access devices through "Digitize your payment cards into your favorite wearables" The company's technology attracted much attention from participants. Notably, Expresspay Card, a partner of Tappy, was established with the guidance of the People's Bank of China. The effort is a joint venture founded by the Bank of China and China UnionPay through institutional investments, and is also the only UnionPay special card issuing member organization in China. Expresspay Card holders can pay with the card at any merchant that accepts UnionPay cards. Tappy Technologies works with Expresspay Card to provide customers with a unique, fast and safe flash payment service. Meanwhile, the new venture's technology can be deployed to understand their customers' purchasing behavior through big data, and use the findings to enhance the buying experience, enhance customer loyalty, and work with peers and like-minded firms to share resources and data. In addition to Expresspay Card, UK-based Barclays as well as India's Axis Bank and ICICI Bank have also selected Tappy Technologies' proprietary technology to enhance their customers' mobile payment experience. 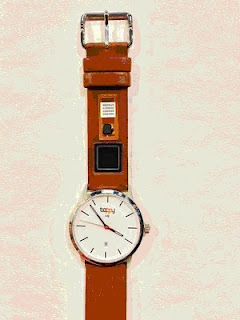 At present, Tappy Technologies also serves a number of products from leading global brands such as Timex watches, GUESS watches, Suunto motion measurement solutions, Kronaby smart watches and Mondaine watches. "Our customer base includes many global payment networks, banks and watch brands," said Wayne Leung, CEO of Tappy Technologies. "Highly sophisticated algorithms ensure that our unique biometric sensors operate flawlessly without batteries, and that the watch's design is aesthetically pleasing, which is important to our watch partners." The cross-border cooperation between Tappy Technologies and Expresspay Card is expected to promote the integration of the technology pioneer and the makers of watches, bracelets, jewelry and fitness trackers in mainland China, as they plan to work hand in hand to roll out the revolutionary concept of biometric technology into the market, changing the rules of the game for anyone and everyone involved in the field of wearable payment.